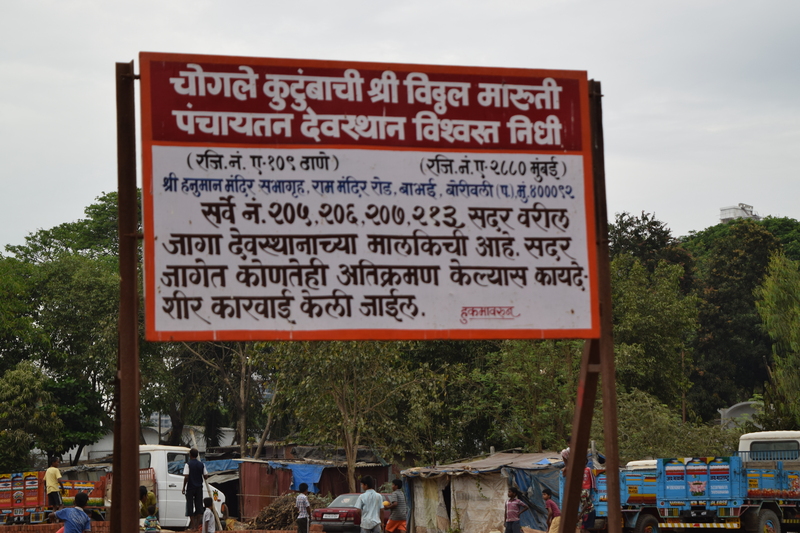 Ishwar Nagar, a slum in Borivali, represents one of the many clusters of people being left behind as Mumbai makes its tenuous claims to global cityhood. Leelabai Anumangta was a young girl when she came to Mumbai with her husband. 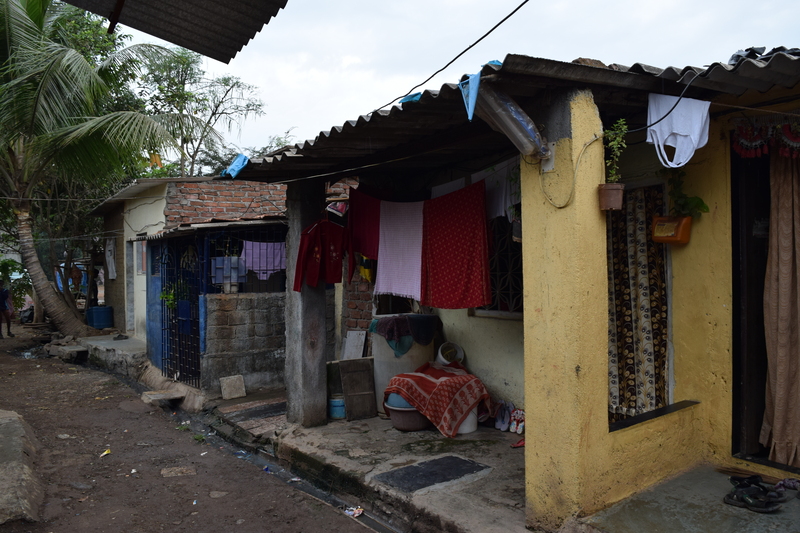 She had dreams of a comfortable city life but the bubble soon burst when she realized that all her husband could afford was their one room in the slum. In the 66 years of her life, she has seen many changes around her but the one thing that has never changed is the fact that she still lives in Ishwar Nagar, a slum in Borivali. She looks longingly towards the sky hoping that the incessant showers of rain would abate giving them a little respite from the leaking roof. Shalini, who works as a domestic help, Ranganath, a taxi driver, and Sunita Rathore, a stationery shop owner, are her immediate neighbours with whom she has to share the limited amenities provided. during election time. They give us assurances and then they disappear. Every time before voting we hope that they will do something but we are disappointed every time. We are under the municipal responsibility of Shilpa Chogle, an MNS leader. We have never seen her after she has been elected,” says Ranganath the taxi driver, who is also secretary of the Ishwar Nagar Rahivasi Sangha housing committee. The block they live in is a series of rooms interconnected by a common passage through which both humans and rodents scurry by and sadly even on a scorching day, sunlight never filters through into their dark homes. The affluent Abhinav Nagar and the derelict Ishwar Nagar exist side by side, separated only by a boundary wall; the wall almost reiterating the fact that proper housing and living amenities are available only for those who belong to the so called ‘upper class.’ Ironically the slum at Ishwar Nagar exists as a paradox of our times where on the one hand there is talk of India ‘cleaning up her act’ and moving on to become a power to reckon with and on the other hand, we see three-fourths of the population still struggling to live in better conditions. In fact for a long time, Ishwar Nagar did not have proper toilets and open drains were used by inhabitants for their daily ablutions. The local municipal corporation turned a blind eye and it was up to the residents to make their own arrangements for improved living. “We have built a toilet ourselves without any help from the government. We also pay for its maintenance. Not just the toilet, the entire colony’s roads and houses have been constructed by us,” says Ranganath. Monsoon is a time of heightened struggle with the added challenge of keeping their belongings and homes dry and habitable. In most cases, there is waterlogging, the roofs leak and there is an increase in both water and air borne diseases. Clogged gutters with breeding mosquitoes are yet another cause for worry as both children and old people are vulnerable to diseases such as dengue and malaria. “Often we all, and especially the kids, fall ill because of the mosquitoes. The gutters are not cleaned, waste is dumped around us. The municipal fumigation squad comes on its rounds but to bring them here is an additional hassle for us. They only come after repetitive calling and pleading. But that does not help much because the breeding grounds of mosquitoes and flies are not being cleaned regularly,” says Sunita Rathore who runs the stationery shop. When the Brihanmumbai Municipal Corporation inspectors were contacted to comment on the situation they refused to specifically comment on the matter. The general idea conveyed by them was that though the basic civic amenities are provided, the population and unplanned habitation are a hindrance to proper management. The journey through Ishwar Nagar is synonymous with struggle and as one walks along, one cannot help but feel anguished at seeing the living conditions in which these slum dwellers reside. While some of them like Sunita Rathore own their own small business establishments and can afford to send their children to school, most of the others such as Shalini are domestic workers who are employed in Abhinav Nagar. The struggle to retain their living space and at the same time to make it more habitable continues for the residents of Ishwar Nagar, who hope for better times even as they continue to combat a city that denies their very right to exist.